Warrior Amazonen in fantastischer Outdoor Kulisse mit Top Model am 1.10. 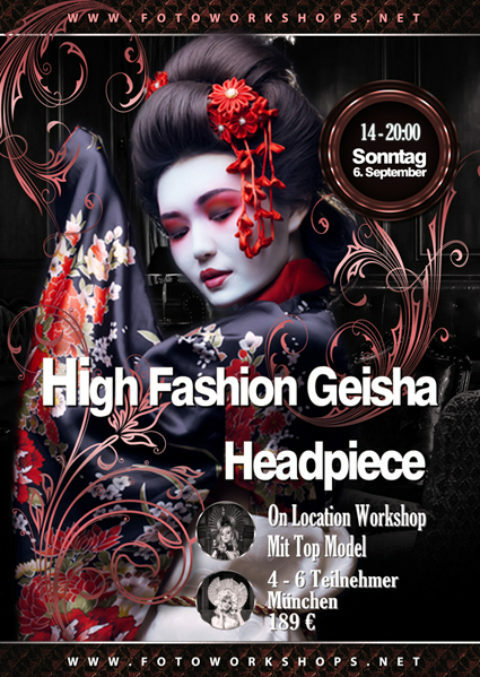 High Fashion Geisha Headpiece Workshop in Top Location am 6.9. Akt und 400 PS mit Top Model Kamila Moravcova am 6.7.